Celkon launched three smartphones last week and the most expensive of the lot was Celkon Monalisa 5 priced at 10,999. The flagship mobiles from Celkon, Celkon Signature A118 HD is also available within same price bracket, which makes the competition even tougher. Overall, a Budget quad core device priced around 10,000 INR is expected to give you good value for money. Let’s take a look at this new offering from Celkon. This phone comes with 8 MP primary camera (with LED flash) and 2 MP front camera for video calling. This camera configuration is common in all budget quad core devices we have seen in the range of 10,000 INR to 15,000 INR. It is hard to judge the camera performance solely on the Mega Pixel count as the quality of the sensor plays a significant role. The internal storage is 4 GB, out of which little less than 2 GB is expected to be available at the users end for downloading Apps. You can extend the storage further to 32 GB using MicroSD card. This phone is powered by MediaTek MT6589 Quad core processor clocked at a frequency of 1.2 GHz which is a very familiar processor in products from domestic manufacturers. This processor is assisted by PowerVR SGX544 MP GPU operating at 286 MHz. The RAM capacity of 1 GB will support this processor for smooth multi tasking. More than 1 GB of RAM cannot be expected at this price range. The battery capacity of 1800 mAh falls a little short of expectations. Celkon should have atleast provided a 2000 mAh battery to counter the competition. You can carry a battery pack or an extra battery to make up for your battery needs. The display of this phone is 4.5 Inch in size which will be quite comfortable to hold. The qHD resolution of 960 x 540 pixels will give you a pixel density of 244 ppi which is less than Celkon’s own Signarture A118 HD priced around 1000 INR more. This phone operates on Android 4.1 Jelly bean operating system and comes with Dual SIM functionality. This device will give fair competition to all Budget Quad core devices with less than 5 Inch display size around 10,000 INR like XOLO Q700, XOLO Q800 and Panasonic T11. If 5 inch devices appeal more to your taste you can get Celkon A118 HD with a bigger and better display at almost the same price. The product would have been more competitive if it were priced below 10,000 INR. The numerous options at this price range from bigger domestic brands will definitely make a dent in its sales. 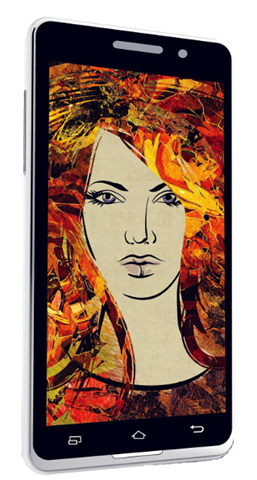 Within its own line up Celkon Signature A118 will be a more convincing option for many. Over all the phone will give good performance if you don’t plan on engaging yourself in graphic intensive gaming and if the screen size suits you better, than it will be a viable option. Are you sure about this? I heard it is a Qualcomm MSM8225Q Snapdragon 1.2 gig of course.